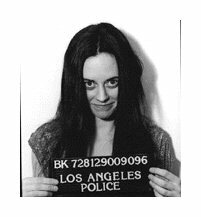 LOS ANGELES — Susan Atkins, a follower of cult leader Charles Manson whose remorseless witness stand confession to killing pregnant actress Sharon Tate in 1969 shocked the world, has died. She was 61 and had been suffering from brain cancer. She underwent brain surgery, and in her last months was paralyzed and had difficulty speaking. But she managed to speak briefly at the Sept. 2 hearing, reciting religious verse with the help of her husband, attorney James Whitehouse. She had been transferred to a skilled nursing facility at the California Central Women’s Facility at Chowchilla exactly one year before she died.